The most luxurious destinations and accommodations in the world can be yours for a fair price. And we’re not talking traditional hotels. 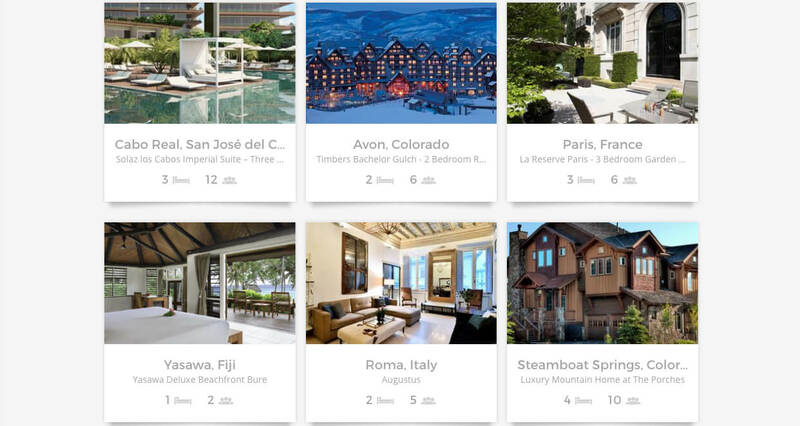 A startup called THIRDHOME is shaking up the luxury travel industry with its business model. THIRDHOME is a luxury property and travel club offering home exchanges, rentals and even adventures. “Originally a luxury home exchange, it has evolved into the only travel brand that brings together a collective group of trusted homeowners, renters and adventurers who share a passion for discovery and demand an elevated experience,” said Senior Vice President of Operations at THIRDHOME, Sean Judge. He spoke to RewardExpert about the advantages of traveling the THIRDHOME way. THIRDHOME was founded as a way for owners of luxurious second homes to trade in nights spent in their homes for stays in another club member’s home. The company was founded in 2010 by Wade Shealy, a successful real estate broker in Hilton Head, South Carolina, who noticed that many second homeowners on Hilton Head eventually wanted to sell their vacation homes in order to travel to different destinations. He created THIRDHOME to help make this happen. THIRDHOME is not your traditional home swapping program. In order to participate, you must be a member of THIRDHOME. “Our community of like-minded members and travelers appreciate the finer things in life, and we are pleased to offer a collection of luxury-only properties,” said Judge. In order to be a member, your home’s value must be a minimum of $500,000, not your primary residence, be in a desirable location and have desirable furnishings. In fact, the average value in the company portfolio is $2.3 million, so we are talking about some exquisite properties that can provide truly stellar vacations. Once an application is submitted, THIRDHOME’s team does some client calls to make sure all figures on a property check out. Once a member is accepted, the onboarding team will call to get homeowners traveling as soon as possible. When a THIRDHOME member stays in their vacation property, they earn what’s known as Keys. Those Keys, THIRDHOME’s form of travel credits, can then be used to stay at another club member’s property. With this different system, no direct or simultaneous exchanges are required. “THIRDHOME Exchange members love the peace of mind and security of knowing that when they Exchange, another homeowner is going to be staying in their home,” said Judge. In addition, THIRDHOME offers a rental service on its website with zero commission on rentals and no posting fees for the first year. In addition, safety and security is a priority, so you can be sure the renters will leave the property in good shape. “There are member requirements for Exchange and guidelines for Rentals’ guest verification, which elevates the experience beyond your typical Exchange or Rental platform,” stated Judge. THIRDHOME goes the extra mile to make sure guests are taken care of through its member experience team. “We have many members seeking accommodations for family-friendly trips, celebration trips and romantic getaways,” said Judge, who noted that THIRDHOME properties can offer significant savings, especially for large family gatherings. “The average cost for a week stay in a luxury residence is Keys from your time deposited plus $650. For staying in a multi-million dollar home or a resort property, such as a Four Seasons or Ritz-Carlton Destination Club location, the value is substantial,” he said. In addition, THIRDHOME has an experience team, offering adventure to go along with properties. Currently, THIRDHOME has over 10,500 properties in 94 countries. Judge said the most popular destinations include Florida, New York, City, the Caribbean and Europe. For a dream vacation that you can do over and over again in the lap of luxury, check out www.thirdhome.com.